If you’ve been reading my blog for any time now, you’ve probably noticed that I have a real fondness for unique cocktails that are cold, refreshing, and low in calories. This Elderflower and Grapefruit Sparkler is definitely all three! Refreshing and delicious, this cocktail is a true delight to the palate. The first thing you notice is the tangy sweetness of grapefruit. But when you add in the sweet, musky, herbal flavors of Elderflower, Vanilla, and Rosemary, you end up with a flavor that simply must be experienced to be believed. In fact, even if you’re not a big fan of grapefruit, I think this Elderflower Grapefruit Sparkler might just change your mind! What I like best is that if you use Sparkling Ice Pink Grapefruit instead of straight-up grapefruit juice, you cut a fair amount of the calories and sugar in this cocktail without compromising on flavor. And it’s super-easy to make the Elderflower Grapefruit Sparkler as a mocktail, instead. So if you have kids around, be sure to get some Elderflower syrup so they can enjoy this delicious beverage, too. Perfect for any occasion where you are looking for something special, and especially refreshing on a warm day, I really hope you’ll give this one a try soon! This drink is simply elegant. While it’s taste is phenomenal, it’s also a beautiful drink to experience. And that makes it perfect to serve for your special occasions, particularly in the spring. 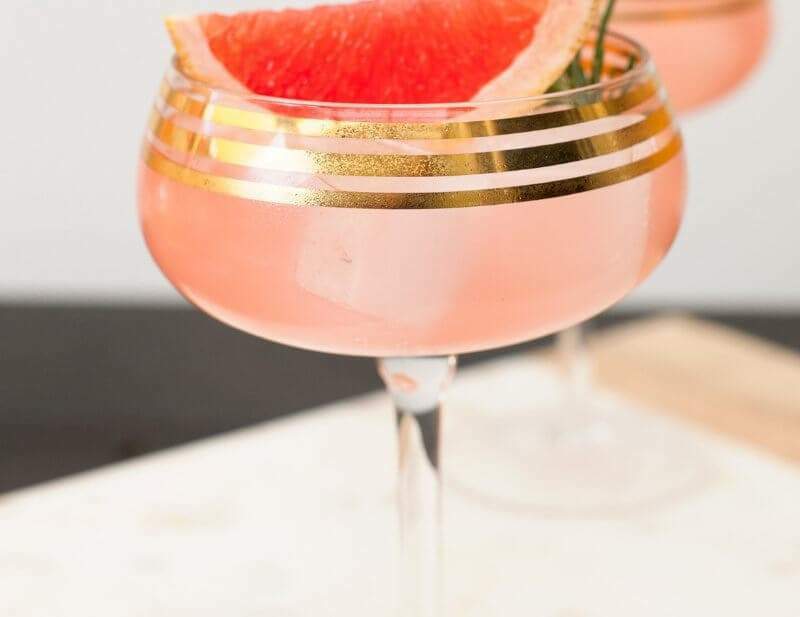 We like to suggest serving the elderflower grapefruit sparkling martini for Easter and Mother’s Day brunches and for showers and weddings. It’s delicious served year round, but it makes these events just a little extra special. Thank you to our friends at Sparkling Ice for sharing their recipe and photos with us. Shake up a delicious #Elderflower #Grapefruit Sparkler. It’s perfect for serving at spring time events like Easter and Mother’s Day brunches. It’s also perfect to serve at a #wedding. Using Sparkling Ice rather than grapefruit juice gives the drink its fizz while keeping the calories low. You can make the elderflower grapefruit sparkler without alcohol. You will want to omit the vodka and replace the elderflower liqueur with elderflower syrup. Monin’s elderflower syrup is a fine choice if you’ll be making the substitution. Fill cocktail shaker with ice. Combine vodka, elderflower liqueur and vanilla syrup- shake until cold. Strain into an ice filled glass and top with Sparkling Ice Pink Grapefruit. Garnish with a rosemary sprig and grapefruit slice then serve. 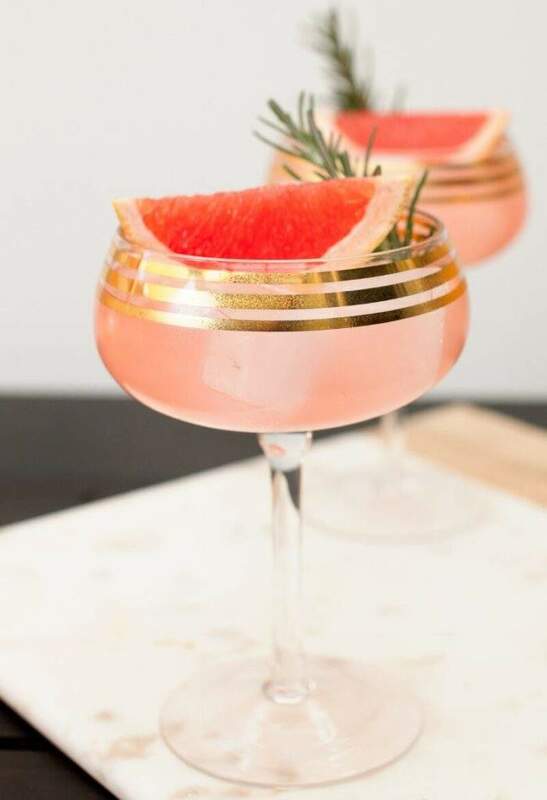 The elderflower grapefruit sparkler is a delicious sparkling martini that's perfect to serve for special occasions like Mother's Day brunch and weddings. While it's delicious to serve year-round, this drink just has that something special that makes it an elegant choice for your event. Fill a cocktail shaker with ice. Combine vodka, elderflower liqueur, and vanilla syrup- shake until cold. 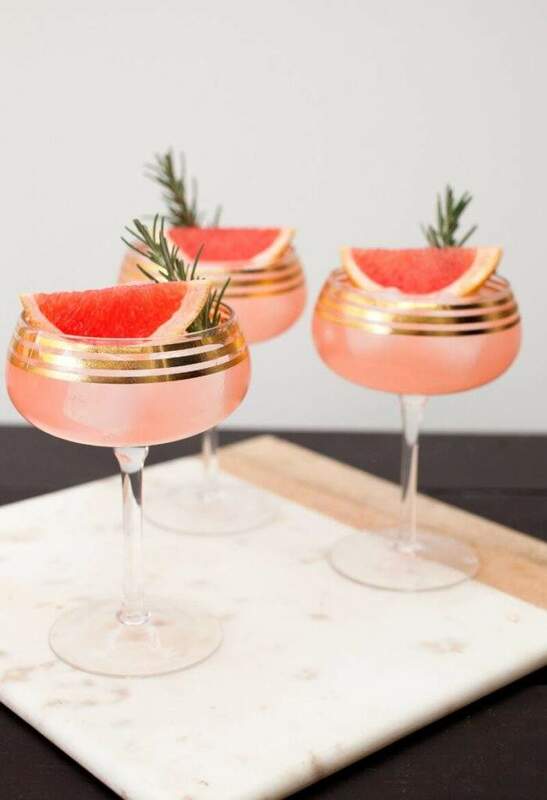 Strain into an ice-filled glass and top with Sparkling Ice Pink Grapefruit. Please let us know how you enjoy our Elderflower Grapefruit Sparkler recipe. If you make it yourself, please let us know on Pinterest that you tried it and tag us with #champagneandcoconuts on your Instagram photo. If you haven’t had a chance to make it yet, be sure to save the recipe on Pinterest so you’ll remember where you found it. 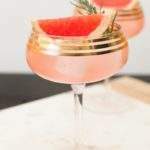 You may enjoy following our Pinterest Boards, Elderflower Cocktail Recipes and Grapefruit Cocktail and Mocktail Recipes.